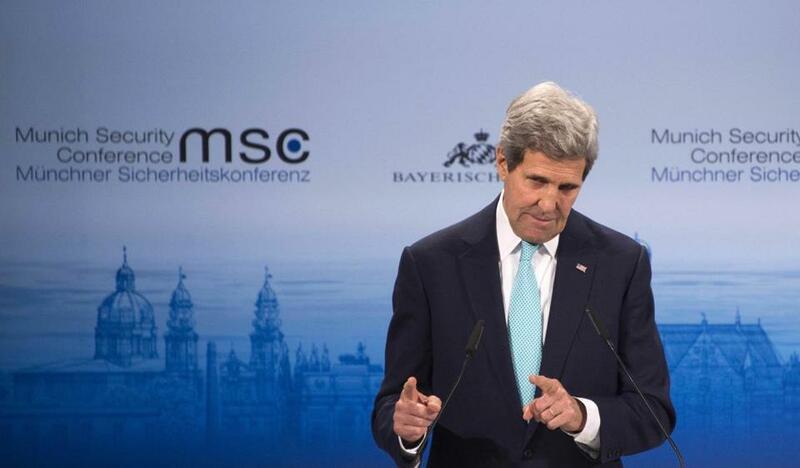 Secretary of State John Kerry delivered remarks at the 51st Munich Security Conference. 8 pounds, 3 ounces. (Her brother, Alexander, will turn 3 in April, and Kerry’s older daughter, Alexandra, had a daughter, Isabelle, last year.) Kerry met his new granddaughter Sunday when he made a brief stop in Boston on his flight back to Washington from Germany. We’re told he even came bearing gifts: On a recent visit to Switzerland, Kerry picked up a hand-carved wooden cuckoo clock that plays music at the top and bottom of each hour.